The Boeing was brought down yesterday (17 July) over Eastern Ukraine, close to the Russian border, sending shockwaves throughout the world. “What is important to watch is that terrible tragedy that occurred yesterday can open a space in political terms, a political space. As you know, we were running after the [pro-Russia] separatists for the last three weeks to get at least a conference call with them. After the tragedy that occurred yesterday, there was a conference call and they came out with clear decisions to protect and safeguard the area around the shot-down airliner. And the separatists even accepted some ceasefire, for the next 48 or 72 hours,” the official said. He added that he didn’t remember if it was 48 or 72 hours, but this was contained in the contact Contact group agreements, which in his words “opens an opportunity on which everybody has to see whether we can move ahead with what has been the goal for the last few weeks of the EU, which is to end to end violence and implement the peace plan of President Poroshenko”. On Thursday, the Trilateral Contact Group of senior representatives of Ukraine, the Russian Federation and the OSCE produced a 4-point statement summing up commitments made by the pro-Russian separatists in Donetsk during a video conference after the disaster. The official also said that (as) in “any accident of this type”, international investigators were working with the national authorities. However, the issue is that Ukrainian authorities could not access an area under the control of separatists. “I note, however, that yesterday night, the Contact group has been able to liaise with the separatists and establish a number of principles which are being implemented,” he said. As other aviation experts told the Brussels press today, the remains of the airliner were scattered in a 20 kilometer area, which clearly indicates that it exploded while in the air. Experts invited by the Commission to speak to the press basically said that the plane had been shot down in area under Ukraine’s domain. Closing up the airspace was its national responsibility, they explained. The experts were questioned as to why international airliners did not avoid the area of Eastern Ukraine. They replied that Eurocontrol, the international body in charge, didn’t have a mandate on security and defence issues. They admitted, however, that the Ukrainian authorities had restricted the airspace in Eastern Ukraine above certain levels: from 1 July from the ground to 26,000 feet, and from 14 July from the ground to 32,000 feet. The Malaysia Airlines Boeing was reportedly flying around 33.000 feet. The analysts told the Commission that no independent sources had so far been able to confirm that the airplane was hit by a missile. Asked if there was a precedent when a country on the territory of which an air disaster occurred had refused to provide the “black box” to investigators, an expert referred to the downing of the South Korean Boeing 707 in 1983 by the Soviet air forces. He added that after the Cold War ended, Russia provided the black box to investigators. Apparently, only 25% of airliners crossing the Ukrainian airspace have taken independent decisions to change their routes, and not overfly the war zone in Eastern Ukraine. The aviation analysts present promised to produce a list of the airlines who had changed their route, and those who didn’t. 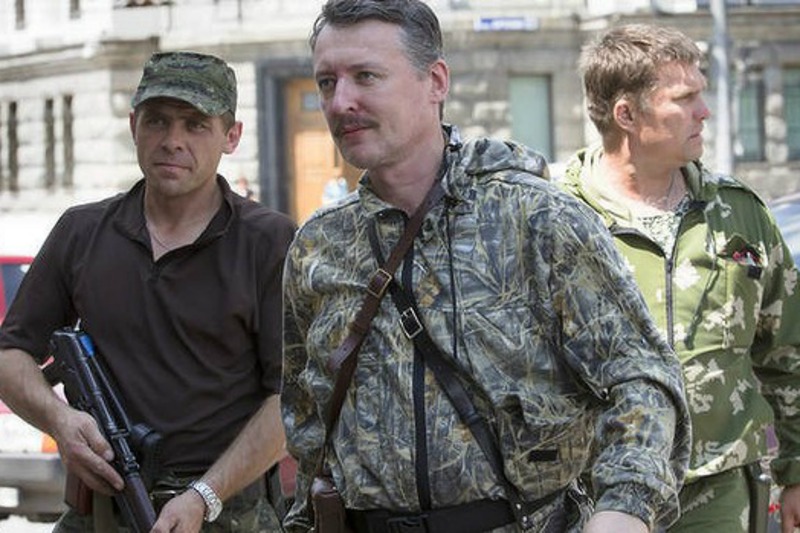 Poroshenko and Strelkov both look honest and consistent. Let’s recognise the true ones. This is turning into such a deep, dark affair, unless things turn around real soon, why don’t we reach out to Eastern Ukraine with the delivery of a small tactical nuclear device? Then we can close that border, forever. Gerry – that’s not where the Russians that matter (the funders) are located: you would need to point it at Londongrad and that would not go down too well. The ones that have the info on this are the NSA/+ UK poodle GCHQ. They almost certainly have the intel/intercepts & possibly photos of the relevant launcher. If they don’t then one wonders why we fund them through taxes, if they do one wonders why there is not more info being “leaked” – a photo or two of the launcher before & after etc. Well – I call this not an accident but a type of mass murdering ! Let’s say keenly that All innocent people of the flight MH17 children father mother – all were murdered by an demented’s push of the launch button of an ground to air missile !